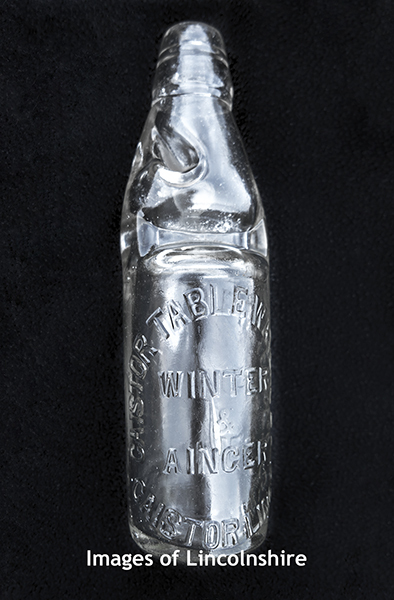 A rare, clear glass, c1920s Codd bottle embossed with the company name 'Winter & Ainger'. The tablewater came from a very deep well in Caistor and was bottled at the company premises on Plough Hill. In 1898, this natural Wolds mineral water won 3rd prize at a National exhibition. The company closed in 1953.